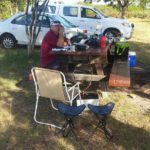 The weekend of the 25th of June fell squarely in the middle of the SARL Top Band QSO party and overlapped with our plans to deploy for the Top Band QSO party. It also clashed with another of the ZS2Fun projects – Hammies. As if that was not enough, it was also Andrew’s turn to read the PEARS news bulletin on Sunday morning, so a full weekend! 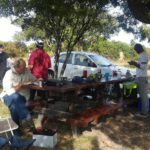 Not to be deterred, however, a plan was made to operate a field station from the famous Van Stadens Flower Reserve during the normal Hammies time slot – 14:00 to 16:00 SAST on the Saturday. Having never actually been to the flower reserve myself I was looking forward to it. Incidentally, this is only a few Km from the venue we used for the “Hamnet Blackout” last year. Living in town has it’s disadvantages from a ham perspective and one of the main disadvantages is the electrical noise. Andrew and I both have S-9 level noise at our respective QTHs. In the Van Stadens area this drops away a lot! So much so, that when Andrew set the radio up he thought it was broken until we found a talking station! 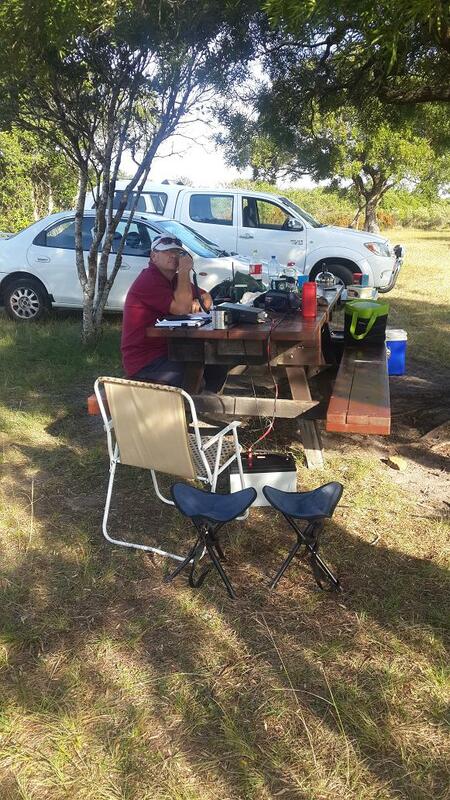 ZS2DH operating the field station. The plan to get out there and set up for a 14:00 start was thwarted somewhat with a variety of challenges, but we managed to be on the air by 14:10 SAST. 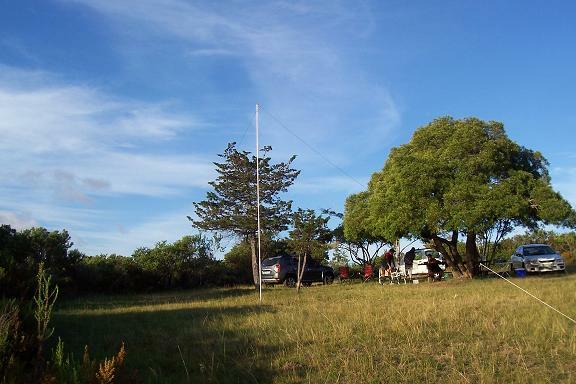 Setting up the “SOTA-style” station was nothing new to us and even the Hammies can do it with their eyes closed now. The inverted-V hanging from an “improved commercial swimming pool mast”-about 6m off the ground, the Kenwood TS-50 running off the good old faithful 100AH battery and we were on air pumping out about 80W of Hamnet Awesomeness! The Hammies had come along as well and Ashton, in particular, needed to run around a bit. Andrew set up the GPS points and hid some point markers. 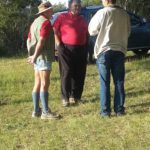 The Hammies were given the coordinates, along with a brief explanation of how the GPS works, and told to get the code words which had been hidden with the point markers. They had to radio these back to “base control” as they found them. This was a great activity for the Hammies as they got to report over the radio, but also explore the reserve and improve their mountain rescue skills. 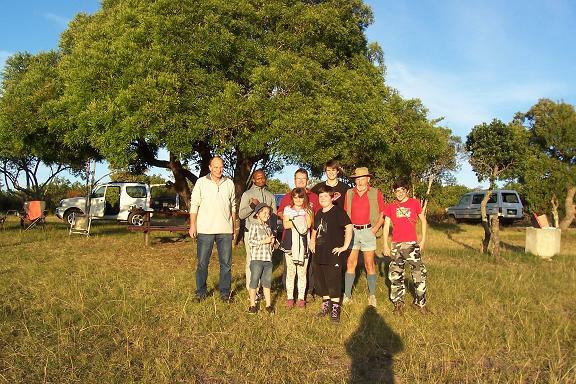 We had to eventually cut the activity short as the park was closing and we had to get back to town! This proved even more popular than the fox hunt we did some time ago. Taking turns between operating the field station, operating “base control”,and chatting to our guests, kept us all busy. Juanita and Thato (one of Andrew’s students from work who had joined us for the day) were a great help. I think they enjoyed it at least as much as the kids did – if the laughter was to be believed! Our guests included a few passing tourists and Treffor Lloyd from the Mountain Club Search and Rescue team. 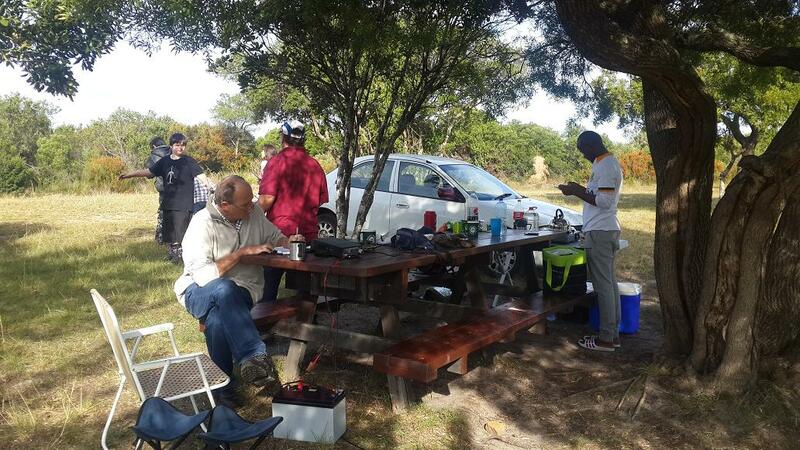 Our field station made a good impression too – hitting ZS1 through ZS6 as well as making contact with Athol Masdoll, Z21LV in Zimbabwe, Vince, 3DA0VV in Swaziland, and Dieter Hoffman, A25RX, a local lad currently working in Botswana. Naturally, as man cannot live on radio alone, we had a fully catered service with tea, coffee, hot chocolate, cooldrink, and biscuits. By the time we had to leave, there were still some supplies, but the cooldrink and biscuits just seemed to have evaporated! 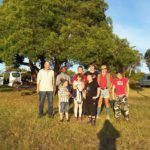 In short, we got out into the open air, played radio, practised our skills, gave the Hammies a good afternoon of fun, and all went home a little more tired. 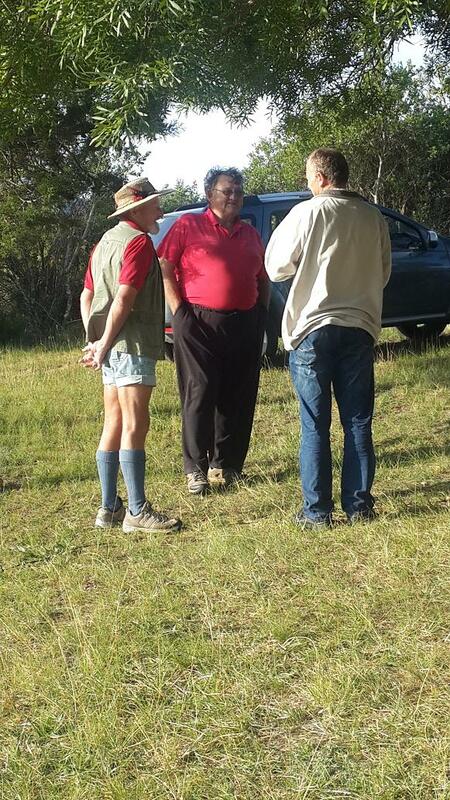 This entry was posted in Eastern Cape, Exercise and tagged Hammies, Van Stadens by Dave Higgs. Bookmark the permalink.